Joie Grandbois is a Maine based performance artist, movement teacher and tarot consultant. With a background in modern dance, Middle Eastern Dance, and Authentic Movement, she leads embodiment and improvisation workshops and classes for dancers and other movement artists. 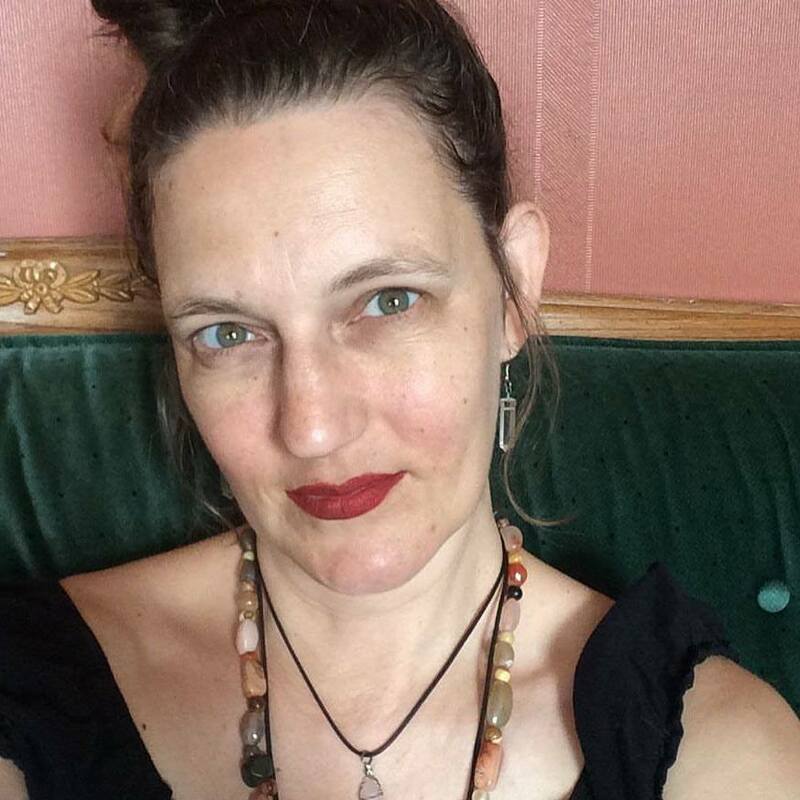 She has 30 years of experience reading the Tarot and offers readings in person and online by appointment. For those that wish to deepen their study of the tarot or utilize it as a system for personal or spiritual development she offers group as well as private lessons. If you'd like to keep up to date on her appearances, classes and workshops please sign up for her mailing list. "I am so happy I took the plunge to delve deeper into tarot with Joie. With lessons and homework, emails full of resources, and her availability to answer questions as they come up, this course has provided me with the discipline and direction I needed to learn tarot. It has been my dream to learn tarot fully and Joie provides everything to be able to do that!" - H.L. "This was a powerful workshop that pushed my boundaries. To sit in silence and connect with the still voice within is one thing, to transform that voice into movement is another thing entirely. I found this space and time to be gentle, supportive, challenging, AND uncomfortable, all at the same time. I highly recommend it." - A. F.
"I met Joie through the belly dancing community. I took her class on live music and improvisation which was insightful, supportive and helped me grow as a dancer. A year later I had a tarot reading with her.
" I have many books on the tarot and quite a few years of self-taught experience with them. However, I still felt I could grow in my understanding of them, as making the myriad connections with the cards eluded me. I knew I wanted Joie to be my tarot teacher during my first reading with her. She is a knowledgeable and compassionate guide who gave me many resources and practice tips that have changed the way I approach the tarot. She was always available to answer questions through email and her communication is superb. I learned about my own decks, the differences between decks and how to approach that during readings, and how to give readings professionally. I would recommend her as a teacher of multiple disciplines, as she is a master of many different things who uses her range of abilities to assist her students." - A. S.